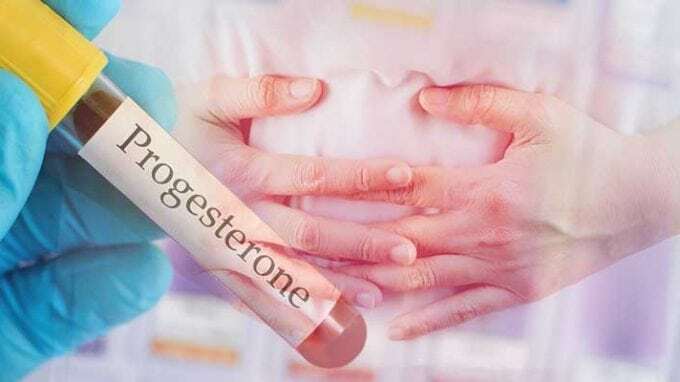 Progesterone, a hormone produced by the female reproductive system, may be the key to resolving recurrent pregnancy loss. Progesterone is known as the pregnancy hormone, and has an important role during pregnancy. Prior to implantation in the uterus, this hormone is responsible for the thickening of the uterine wall. During this period, it is secreted by the ovaries. At 8–10 weeks gestation, the placenta takes over the bulk of the production. After the fertilized egg implants, this hormone continues to be extremely important by continuing to keep a nurturing environment for your developing baby. It also helps with the development of breast tissue, as well as relaxing the natural contraction of the uterus, allowing it to expand as your baby grows. Low progesterone during pregnancy can cause the uterus to be unable to carry the baby to term, being one of the leading causes of miscarriage. Pregnancy loss affects 30,000 women every year in the United States. Recurrent pregnancy loss, defined as having two or more pregnancy losses in the first four to six weeks of gestation, can affect more than 1 in 20 women. In 50 percent of those affected, the causes are unknown. While recurrent pregnancy loss is common, there are few treatment options available. A new study was recently published in Fertility & Sterility, the international journal of the American Society for Reproductive Medicine, and performed by the Yale School of Medicine in New Haven, Conn., in collaboration with the University of Illinois at Chicago. It studied the effects of micronized plant-derived progesterone in 116 women who had experienced multiple unexplained pregnancy losses. For this study, testing was focused on the endometrium, which is the tissue lining the inside of the uterus. The endometrium is responsible for providing nutrients to the fetus during the earliest weeks of pregnancy. Dr. Mary D. Stephenson, Professor of Obstetrics and Gynecology at the University of Illinois at Chicago and director of the University of Illinois Recurrent Pregnancy Loss Program, and her team used an endometrial function test designed to assess the participants’ endometrium to see if it was healthy enough to keep an embryo. This test was designed by the study’s co-author, Dr. Harvey J. Kliman, director of the Reproductive and Placental Research Unit in the Department of Obstetrics, Gynecology and Reproductive Sciences at Yale School of Medicine. It examined a molecular marker called nCyclinE. The nCyclinE levels were taken in 116 women; 59 were reported as high and the remaining 57 had normal levels. High levels of nCyclinE indicate that a pregnancy is likely to fail and normal levels that it will succeed. Participants with high levels of nCyclinE were administered 100-200 milligrams of a natural micronized progesterone, vaginally, twice a day two days after ovulation, when the uterine lining matures in preparation for a possible pregnancy. Those with normal levels were used as the control group. The researchers’ theory is that the progesterone caused the patients’ endometrium to produce more secretion, thereby producing more nutrients to the embryo. “The endometrium feeds the baby up until the eighth week of pregnancy. Then at 9 to 10 weeks, the mother’s blood takes over to feed the embryo,” said Kliman. “In this subset of women experiencing multiple early miscarriages, we assume that their embryos were literally starving to death,” Kliman added. Here, Progesterone could intervene effectively. Before being treated with progesterone, the participants had a 6 percent success rate. After treatment, the success rate jumped to 69 percent, a significant improvement, especially compared with the control group success rate of 51 percent. These promising findings provide evidence that both the Endometrial Function Test and progesterone could be useful in treating recurrent pregnancy loss. Progesterone treatments are inexpensive and safe. However, this study is observational and cannot establish causality. “The positive results show us that next we need to study progesterone as a treatment for recurrent pregnancy loss with a prospective randomized trial to validate the findings,” said Stephenson.